In 2009 Nick was one of the first gynaecologists in the UK to train in robotic gynaecology at the EITS (European Institute of Telesurgery) in Strasbourg. 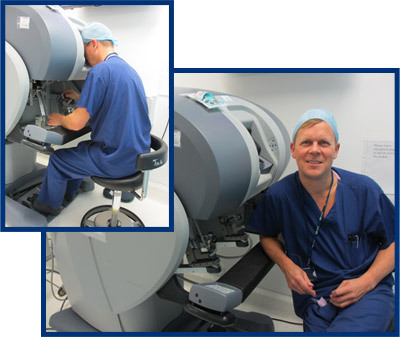 He has been part of a team that has introduced robotic surgery at Frimley Park Hospital. He is also on the committee of the British and Irish Society of Robotic Gynaecologists (BIARGS), which was founded in 2010. He has travelled internationally, lecturing and demonstrating minimal access surgery. Nick lives near Farnham, Surrey with his wife and two sons. He enjoys family life, golf and entertaining.